Q3: Can you give us a bit more information about Airpush and what it will add to the company’s offering? A4: Once the merge takes place, technically it’s a reverse takeover, but once it takes place this year, you’ll find that by merging the two companies together you have a profitable company. 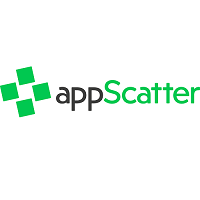 From appScatter’s point of view, we’ve increased dramatically the revenue and it’s just an ideal fit.